On the ZTO system, Si was found to be considered as an oxygen vacancy suppressor due to Si atom having high bonding strength with oxygen. 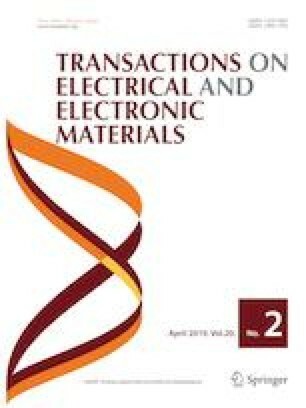 The a-SZTO thin films fabricated with thin-film transistors showed a tendency of decreasing electrical properties as the Si content increased. In addition, various resistances, such as total resistance (Rt), contact resistance (Rc), and sheet resistance (Rsh) depending on Si content were analyzed using transmission line method. It was also found that Rsh was increased due to suppressing oxygen vacancies by Si atom. Threshold voltage can be controlled through simple adjustment of Si content and a NOT logic circuit is fabricated through this. In the fabricated two NOT logic circuits, high voltage gain of 11.86 and 9.23 was obtained at VDD = 5 V, respectively. In addition, we found that even more complex NAND and NOR logic circuits work just like truth tables. Therefore, logic circuits fabricated according to simple Si content can be applied to next generation integrated circuits.